Can you imagine? All of eternity where Newton is right?! 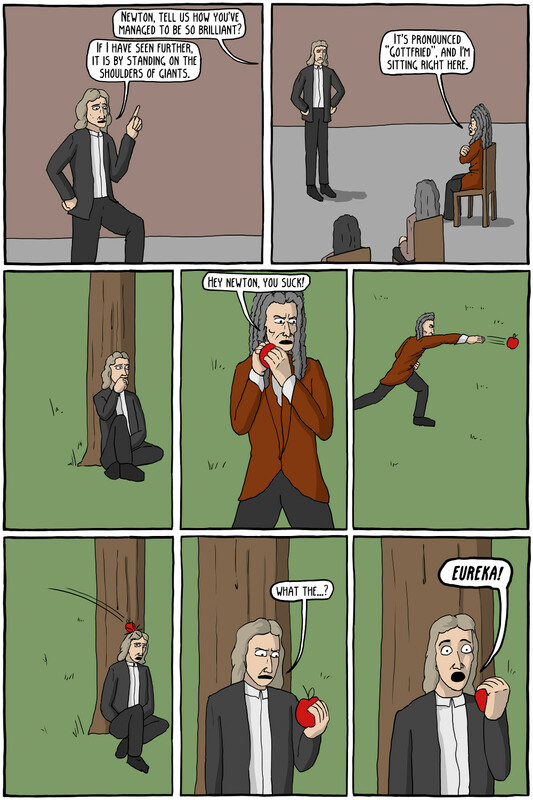 Isaac Newton and Gottfried Leibniz had a long running feud concerning who invented calculus first. Each became paranoid that the other was stealing ideas. 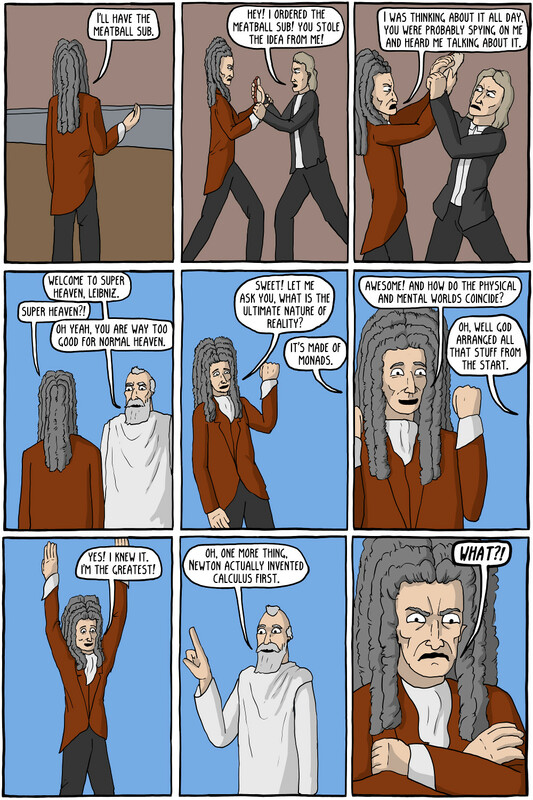 The references to Leibniz's Monadology and Theory of Pre-established harmony have been explained before in other comics.